A very compact machine gun with semi and full auto capability. 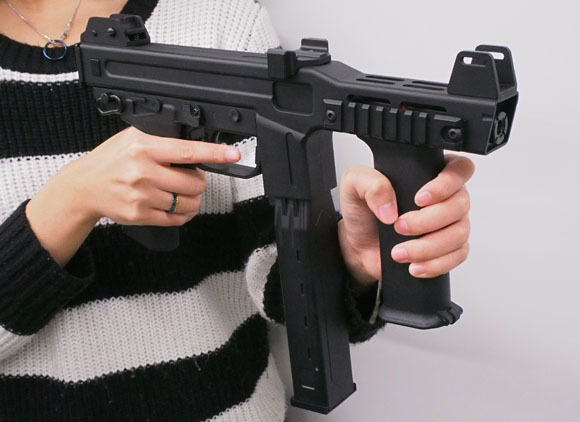 As seen in Call of Duty BLACK OPS, a must for any CQB gamer,weighing in at a respectable 1.2 kgs, and fitted with a modified Version 3 gearbox and adjustable M4 style hop unit, FPS approx 265-290 out of the box, complete with 8.4 volt battery charger and 50 round low capacity magazine. Even though the body is polymer it still feels good in the hand.